A Jeep Wrangler Pickup Truck is on the way! An interesting news for Porsche lovers! Porsche will be displaying, the P1, its first designed vehicle, at the Porsche Museum, celebrating its fifth anniversary. 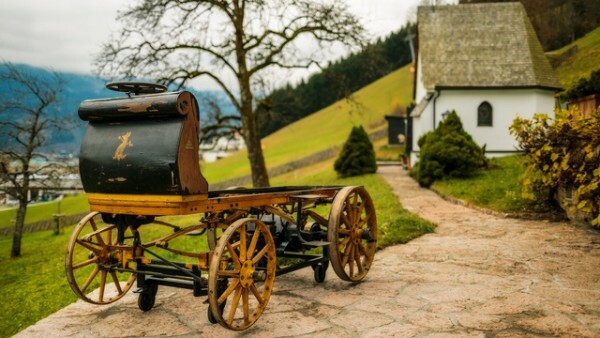 The car is also known as “Egger-Lohner electric vehicle, C.2 Phaeton model”. The vehicle was designed and built by Ferdinand Porsche in the year 1898, when he was only 22 years old. The vehicle was resting in a warehouse since 1902 and has recently been recovered. P1 is a rear mounted electric drive that weighs 287 lbs. and produces 3 hp. It can reach to a maximum speed of 21 mph, as it is controlled through a 12-speed control unit. Lohner alternating car body enables it to be a coupe style or exposed Phaeton structure. In September 1899, the P1 was tested for the first time and later it took part in a 24 miles race. The P1 won the race reaching to the finish line 18 mints earlier and topping in the efficiency contest. Porsche Museum got functional in 2009 and this is the first time people would be able to admire the greatest development from the auto maker. Visitors will get an insight how Porsche transformed over the years and successfully continued its 115 years journey. If you’re a Porsche fan, do not miss to have a look at this master piece. Museum can be visited from Tuesday to Sunday, 9:00 to 18:00. Suhail is a journalist who loves everything about technology driven cars. He keeps a keen eye on the latest developments in automotive industry and shares the news as it breaks. Copyright 2013-2016 Autos Reign - All rights reserved.